I wrote this original series of articles back in 2010, based on the TV studio I set up in 2008. Well, the march of progress or time or whatever has begun to catch up with the equipment. The trouble with a TV studio is that everything works with everything else. I couldn’t just replace the SD cameras (and not just because they still work), but the Vision Mixer only works with the SD footage. I’m not a huge fan of HD for school studios, the quality and file size have always meant SD is perfectly fine, but time does move on. One of the Vision Mixers was starting to fail and I realised that if the camcorders did stop working, they couldn’t be replaced with a similar model. All camcorders available now are HD only. Deciding to switch to HD forced the decision to replace the video mixer. I knew about one option, the professional NewTek Tricaster – a product I have coveted from afar for a long time. The trouble is, last I looked, the Tricaster retails at around £6000. I put in the entire original TV studio for that amount! vMix is a free and/or cheap “studio in a download”. It can take almost any type of image source from cameras and files to PowerPoints and screen captures and allow you to mix, merge, chromakey them in a bunch of different combinations. Four PCs also meant 4 heat sources in a small room. It’s really surprising how much difference only have 2 has made. In the end, we did spend a bit of money. I bought an i7 PC with a Magewell capture card. This capture card takes 2 HD inputs and passes them over to vMix. We’ve also spent $60 on vMix HD so that we have more flexibility with output images. We’ve also been playing around with the virtual sets in vMix which adds an extra dimension and bizarrely, we’ve found we only need one physical camera to act as a two camera studio. We have an HD camera, outputting at 1920 x 1080 pixels. We stream to whiteboard PCs around the school site, so we stream in SD to avoid bandwidth issues (actually output size is 800 x 480). 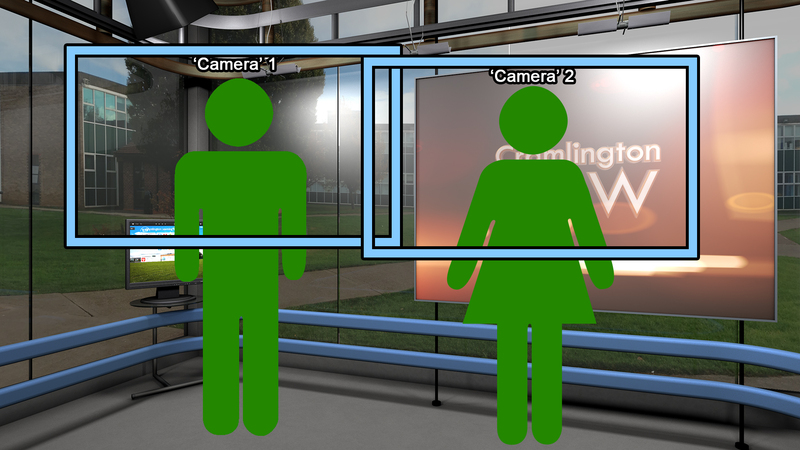 This means that an HD virtual set can have multiple views which don’t have to even overlap! Still from the fascinating exposé we did into the private life of the traffic light’s Green Man. Being able to cut or zoom-in/out so we’re not always on the same shot makes the video assemblies more interesting and having a locked off camera has reduce pressures on the team. It no longer takes three of us to run an assembly. One member of staff can do the whole thing. I’m a huge fan of vMix. It’s made filming so much easier. The chromakey is very easy to set up and you can even save your set up so you don’t have to do much more than load it in each time. It doesn’t hurt that it’s running on a top-spec PC either. At one point last term we streamed an assembly from the computer running the Planet eStream encoder, vMix and vMix’s desktop capture. I don’t think the fan even kicked in. vMix seems to have a strong online community to who are frequently requesting changes and importantly, it seems those requests are being listened to and acted on. When adding music to a video, there is always the point when you want to reach for your audio collection, be it iTunes, Amazon or that pile of dusty CDs and import your favourite song and use that. 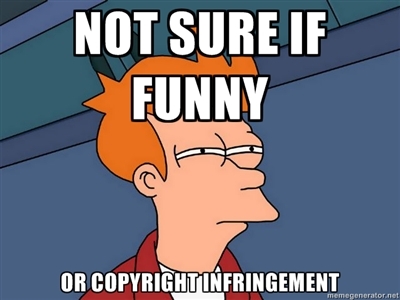 Yeah, that’s called copyright infringement. It’s so easy to do, but ethically and legally it’s a big NO. The big problem is what do you do if you don’t (or know someone who does) have the talent to create music for your video. And let’s face it, even if you do, that’s a whole extra level of work. There are royalty-free music websites out there, but whenever I’ve tried to use them, I’ve found it near impossible to find the right type of music for the mood I’m trying to convey. The closest I’d found was Video Copilot, which sells a CD of audio effects and includes some music ambience tracks. These tracks aren’t bad, but they are limited. Last time I uploaded a video to YouTube* I noticed a new feature, Creation Tools. And in there, is an Audio Library link. The mp3 files are catalogued by genre, mood, instrument, duration and sub-categorized as well. And just like that, problem solved. A decent, well organised collection of royalty-free music. 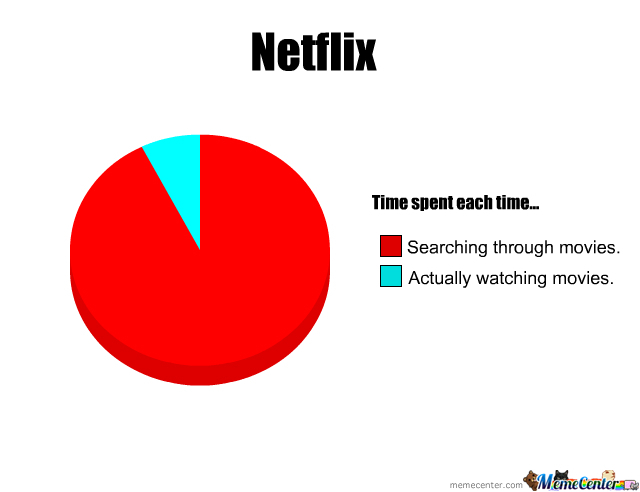 At Cramlington, we don’t currently have a third-party video service. Not that sort of video service! Instead, having an entirely Windows server environment, we’ve used Windows Media Encoder and WMV files to stream all our videos. Together with Graeme Porter (since moved to be Walbottle Campus’ VLE Coordinator), I put together our own video database system (CramTube – yeah, our naming’s not got better either). We also methodically went through all of the encoding settings in Adobe Premiere to determine best compression – size ratio. Using WMV we achieve around 4 Mbs per minute. At this setting, you see a little artefacting (it’s not yet a word, but I’m holding out hope), but the file size has to double before the quality noticeably improves. And so far, we’ve only rolled out Android devices to students which can play WMVs fine. Of course, there’s a problem. In this case, it’s our students, who use their Android tablets and phones (only in 6th form supposedly) to record video. 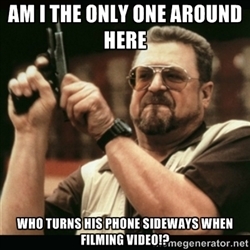 I’m currently pushing for month-long detentions for filming the wrong way. Shockingly, they also to want to be able to edit it. Trouble is, there’s no app in existence (I’ve looked) that allows the user to record video as WMV. And if the student wishes to edit the video, generally it involves a trip to the IT support office with a memory stick. Some way of students uploading video (large files). Be able to download the new file. To solve the first point, a Google search (sorry Bing – I never even considered you) discovered PL Upload. This system is a lovely bit of code which allows large files to be automatically uploaded by users. This gets round the problem of standard file upload forms timing out. The documentation is a little off-putting, but the example file provided works just fine. From there, it’s easy enough to adapt to suit your own design. The next part involves converting the video from whatever format into the editable WMV. We’re lucky enough to have Adobe CC for our department. It’s meant we have the latest versions of all the Adobe products, though I think AME has had watch folders for some time. Hang on….sorry, got ahead of myself. In AME, you can set up the program to “watch” for new files on a network drive. So every time a user uploads a video file using PL Upload, it drops into one of these ‘watch folders’. AME, running on a spare PC detects the new file, converts it and saves it into another folder. On upload, we used a bit of our own code to rename the video file with the user’s username, time and date. Using a variation on the auto menu code I shared last time on this blog, the user sees a list of all the videos containing their username. And that’s it. Obviously AME can be set to convert to formats other than WMV, but seeing as our students use Adobe Premiere Pro CS3 (site licence years ago) and Windows Movie Maker (free), we find it’s the easiest format. So far, only our sixth form students have used the uploader, but our Year 7 students are using a stop motion app which only saves in MOV or MP4 formats. PL Upload being a web-based tool should allow them to upload and convert. OK, before I start. I don’t want to hear about Chrome, Firefox, Winamp, iTunes or frankly anything else. 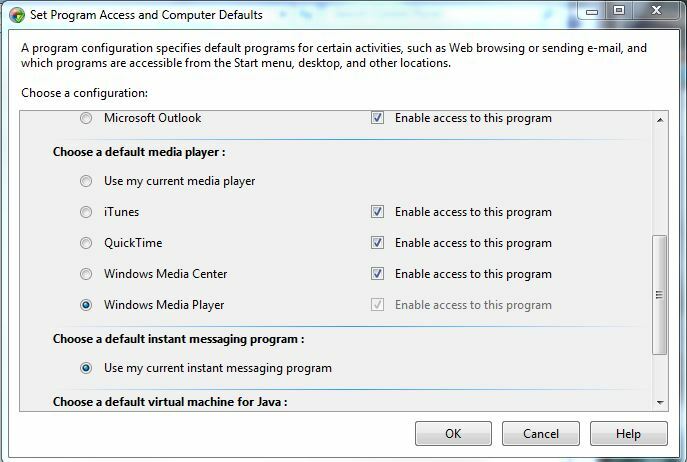 It’s taken me an absolute age to find a solution to this on the internet and almost every forum I went on where someone was having this issue, there was someone else suggesting they just change browser or media player. I can’t. 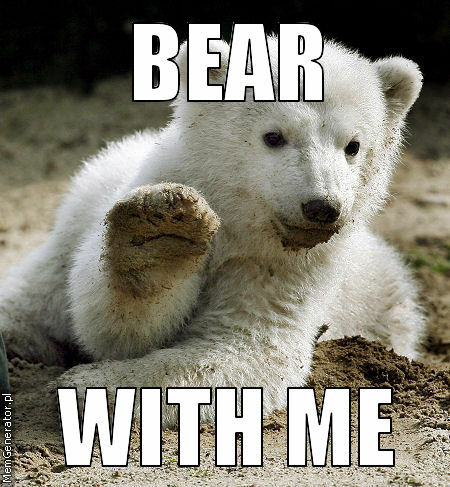 We run RM CC4 at school, which uses Internet Explorer 8/9 and Windows Media Player. If you’re a fanboy (or fangirl) of another set up, good for you. Glad you’ve got the freedom to do so. Now shush, this article isn’t for you. For the rest of us, there’s a really annoying issue if you have Quicktime installed and you’re using IE8 or IE9. 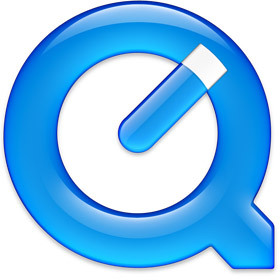 When you click on a link to an MP3 file, instead of delivering the file, the window gets taken over by thew Quicktime logo , shortly followed by a whole page of white with a tiny play bar in the middle. Not pretty, not flexible and kinda annoying. A lot of people blame Apple for this, but I think the blame lies with Microsoft (when you see the solution). 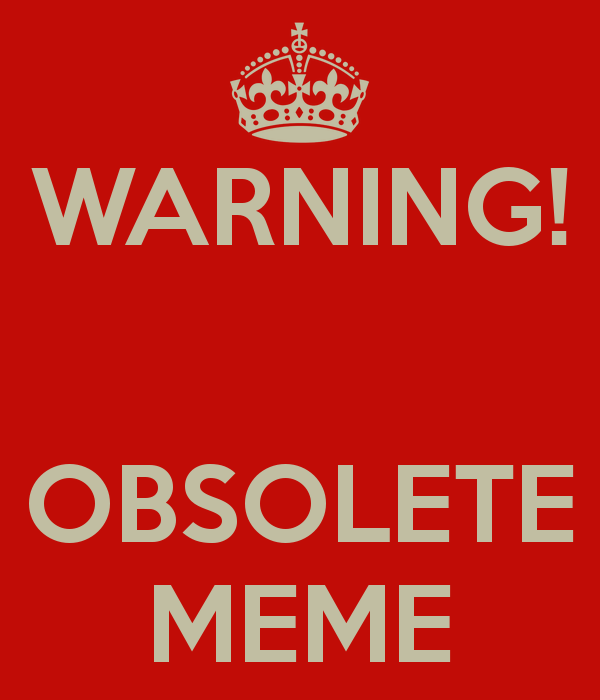 The issue is that Microsoft have changed the way you control what plays what, but the parallels with the old system are still there, so lots of forums and help sites list the old way, which no longer works. At this point, a window for the Control Panel opens up . 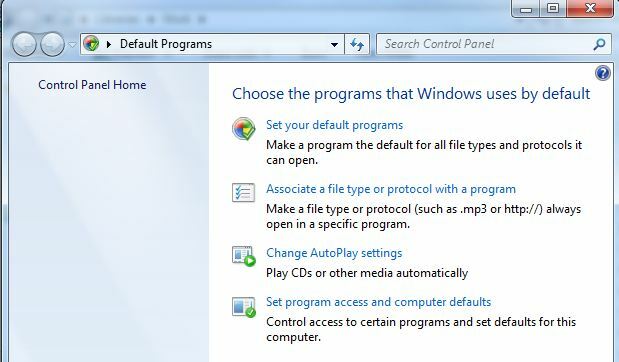 It looks like, but is not the Default Programs area of the Control Panel. And that’s it. At least it worked for me. Hopefully it will help you as well. Like lots of schools, we have a number of televisions placed around the site to pass on information and celebrate the school in a bright colourful way. We use the MagicInfo Pro system, which allows a single user to control the TVs either as if a single display, as individuals or in groups. The system has worked quite well for a while, (mainly because I had nothing to do with it). It was all controlled by one of our Assistant Heads. It really only came to my attention when he left. The problem with the software is that only one user had been set up to manage it. Others could manage the system, but any change made by one user effectively undid the work of the other user. What was needed was a content management system allowing multiple users to set the content for different sections of the same display. This is where Frog comes in. Rather than having to train multiple staff on a new system and explain the dangers of being able to undo others work, we set up MagicInfo to point to several Frog pages via iframes. We have a page containing all of our current Whole School notices. An autoscroll script in an html brick on the page keeps the moving before jumping back to the top to start again. This allows any teacher to post a notice for display onto the screens. Want to replace to the News programme with photos congratulating a sports group? No problem, just create a PowerPoint of the photos and use iSpring Free to make it a looping presentation. Want the student radio station to broadcast over the screens at lunchtimes? No problem, let’s make a Flash file which picks up the time of day and switches the content to another page and let’s have the same Flash file switch the content back at the end of lunch. (If anyone wants to know make their own Flash file or just use mine, drop me a line here – I might even try to make it into a Frog widget). Controlling the digital signage through Frog has also allowed us to set up one screen to be controlled by the Drama department and another by the Sixth Form. The teachers involved have full editing control over their bits, while not affecting the others. The digital signage used to be a not-insignificant chunk of one person’s time. Each week they created new content, changed messages and generally refreshed the digital signage. Now the entire system is constantly renewed automatically. The News feed and student radio keeps it dynamic. Add to this, the ability to drop in slideshows with only about 5 minutes work and we have a digital signage system doing exactly what it should. Terry Freedman from ICT in Education.org asked me to write an article for their Computers in Classrooms newsletter. It’s a special 3D edition. Here’s a direct link to my article although the rest of the magazine is worth viewing too. As a 2D video camera, the quality is excellent. It has 3 CMOS sensors and can record in 1080p which makes chromakeying (i.e. greenscreen) very easy. I’ve always been a fan of Panasonic cameras, they seem to understand what’s actually important. It’s a slight shame the camera doesn’t have a SD mode. As a school, we have no need of HD quality, where filesize is as important as quality. Don’t get me wrong, we don’t sacrifice quality, it’s just that I’m not in the business of delivering broadcast-quality content. Panasonic (unlike Sony) use an open-source recording codec. This allows editing in Adobe Premiere Pro without having to convert the video beforehand. This is a huge time- and quality-saver. We picked up the camcorder for around £500 + VAT (you have to shop around and we have an excellent finance department who do just that). For that price, we got two cameras in one. The recordings are side-by-side, which makes incorporating the video into my existing Cinema4D’s workflow really straightforward. What is most suprising is just how effective the depth of the video is. 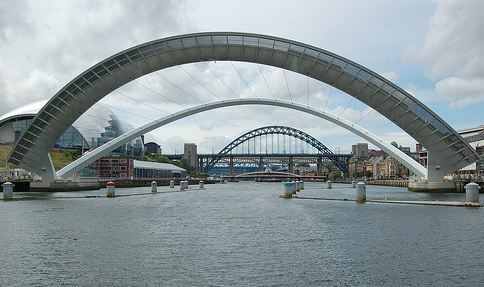 We mounted the camera on the front of a boat which passed under the Tyne’s Milennium footbridge. It’s not a view most people get to see and it really impressed our staff and students. And of course, self-created content is free! Battle of the Handhelds: Redux! I think the one post I’ve made which has caused the most feedback and continues to draw in audiences is my post about two devices we were considering for school use back in April, namely the iPod Touch and the Archos 43. So much has happened since I wrote that blog entry. First off, we didn’t go with either iPod Touch or Archos. Like I summed up at the time, the iPod had too many restrictions and the single-touch Archos made it too frustrating to use. At that point, our ICT Coordinator stumbled across the Samsung Galaxy Tab. I say stumbled upon, because Apple pretty much had the high street sewn up. All credit to them (and it’s changing now admittedly), but if you want to buy a tablet on the high street, everyone wants to sell you an iPad. And why not, they’re great devices (personally I find them a little large and a bit heavy) but there’s no denying Apple created another product the world didn’t know it needed. Samsung (who incidently make the iPad for Apple) have their own range of tablets, a 7″ wifi, a 7″ 3G and similar in the 10″ range. 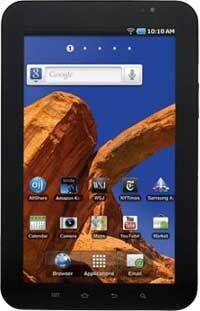 They’ve also started on their gen 2 tablets which are even more sleak, though not widely available yet. We evaluated and then chose the Wi-Fi only, 7″, P1010 model. It runs Android Froyo, has 16Gb internal memory, front and rear cameras. It comes preloaded with ThinkFree Office (which allows creating and edit MS documents) along with a host of other apps (some good, some not worth it). The main difference between the 7″ tablet and the smaller handheld we were looking at before is the size (obviously). When you’re using the tablet, it feels like it is for work. You can achieve a lot of the same stuff on the smaller devices, but they lack a feeling of productivity. With the Samsung, you feel like you’re using a work tool. We did look again at the iPad and iPod Touch, but the cost of the iPad is too prohibitive to seriously consider (those schools that have gone down the iPad route must have sacrificed something else from their budget). Ultimately we found iOS too restrictive/problematic in terms of file uploads, Flash (yes I know Adobe have pulled development) and for building our own apps as well as paying for other apps. The tablet cannot charge from a computer’s USB while turned on! Wait…what? That’s like… the point of USB. We’ve got round this issue by buying these special cables. It took a couple of hours searching the internet to even find out what the problem was. It turns out to be a voltage issue. These cables contain a switch and resistor which gets round that. Still, these are all niggles and while many would point out that you shouldn’t have to deal with niggles, life always proves otherwise. I do hope that we’ll make some of these available on the Android Market. They are all built in Adobe AIR, which has made the creation of Apps so much simpler. I think we will eventually move away from AIR, but for right now, it just works. Have we chosen the right device? I think so. The size is right. The functionality is right. The price is right ~£300 (including insurance). 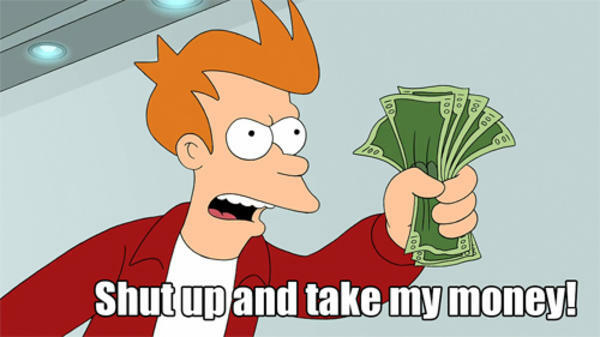 I’ll admit my heart sank a little when Amazon announced the $199 Kindle Fire – but it’s not out in the UK yet. And not in the quantities we need. And can we even run our own apps on it? Maybe next year, if this year is successful. The battle may have been won, but something tells me the war has just begun.